How Much to Charge for Trimming Bushes? When opening a new business or expanding into a new field, one question that usually comes up involves the pricing for the service. You want to set a price so that the service is profitable to you, but not so expensive that you send clients to a competitor. Several price methods exist for charging a client when trimming bushes. Add bush trimming services to your landscaping business. Set your price using a per bush method. For your estimate, simply count the number of bushes, and multiply by the dollar amount you want to charge. 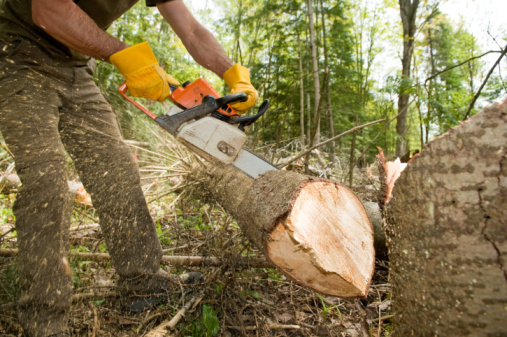 Although this sounds simple, there are several other factors you might want to look at, such as the size of the bush, condition of the bush, extra equipment some bushes require, and the overall amount of time it will take to trim the bush. This may lead you to create a standard fee based on the size or type of a bush. The size of the bush should impact the amount you charge to trim it. As bushes range in size from tiny to extra large, one price does not fit all. The time you take to trim a small bush -- about the size of a basketball -- and a large one varies tremendously. So does the procedure. For extremely large bushes, you may be required to stand on a ladder to complete the trim, while a smaller bush can be trimmed from the ground and may only take 10 minutes time. Determine the approximate time to trim each bush size to set a fee. Some contractors charge an hourly fee based on local rates. Two possible methods include preparing an overall estimate of time for the service with the fee broken down per hour or no estimate and a strict hourly fee until the bushes are complete. If providing an estimate, it helps to know how long it may take to complete the job, so using the size of the bush as a time guide can be a useful. One tip involves adding time to the estimate to cover unexpected difficulties or overages of time. Something needs to be done with the debris left over after bush trimming. This becomes an important consideration in your pricing since either the owner or you will remove the dead debris and take it to the dump. The owner may think it is part of the bill, while you may not. Discuss the situation fully with the owner when setting your pricing. An additional fee for the transportation of the debris to the dump and the dump fee should be part of the estimate if this is part of your contract.